1967 Pontiac GTO. Watch how it was restored - tap on the image above. make sure their insurance policy is too. For more than 85 years, Safeco has delivered new and better ways to protect cars and drivers with auto insurance. Whether it be a sedan, hybrid, minivan, station wagon, SUV, pickup truck or anything in between, provide personalized coverage that's right for your client. If trouble comes along, we'll make sure they are taken care of every step of the way. Safeco is a proud member of PIA Western Alliance's KKLUB. The Professional Insurance Agents of Oregon — PIA Oregon — is just one of many groups in Oregon disturbed over Governor Kate Brown’s decision to grab funds from the quasi-private State Accident Insurance Fund (SAIF) to beef up the PERS retirement system. Brown’s decision takes $486 million from SAIF’s $1.9 billion surplus. • SAIF’s reserves are essential to protecting the safety of Oregon workers and ensuring low rates for employers throughout state. • Small businesses, school districts, local governments and non-profits depend on SAIF’s affordable rates and safety programs to ensure a safe and healthy workplace. • Raiding SAIF’s reserves will negatively impact worker safety and accident prevention. • Any excess premiums (that created the reserves) should go back to the employers who have paid them. And the bottom line? SAIF’s funds ought not be used as a piggy bank by Salem politicians trying to cover unsustainable costs in PERS. “While the Legislature in 1982 passed a law expressly authorizing such a transfer, it would be controversial and risks destabilizing an entity that has competently, reliably and efficiently administered workers compensation for public and private employers for years. In trying to address the PERS crisis, Oregon should not do anything to trigger another,” the editorial board wrote. In a story in Weekly Industry News last week, we referenced what happened with the 1982 decision of the Oregon Legislature. It authorized taking $80 million of SAIF’s reserves. A lawsuit followed and the Oregon Supreme Court said the state acted illegally and ordered the money returned. If a decision is made by the Legislature to grant the governor’s decision to take that money, Weekly Industry News assumes lawsuits will be filed. PIA Oregon is part of a coalition of business groups and associations opposing the governor’s decision. The group published a response a couple of weeks ago when the governor began talking seriously about taking the SAIF funds. The group called the governor’s decision, a dangerous game. “They are literally stealing from one pot to cover liabilities in another and hoping that you can pay it back before something bad happens. That’s a dangerous game,” the coalition stated. Mike Salsgiver is the Executive Director of the Associated General Contractors. He agrees and said SAIF’s reserves should be off limits. “You can be certain that raiding hundreds of millions of dollars from SAIF's reserves will negatively impact worker safety and accident prevention. That means higher rates for employers, reduced benefits for workers, or fewer investments in accident prevention. Any way you cut it, Oregon small businesses and workers lose,” he said. • After giving each family $100, the state will keep — one time — the income tax kicker. Brown hopes it will raise $400 million to 500 million. • Repatriation funds already dedicated under 2018 Senate Bill 1566 (and Senate Bill 1529) for a total of $83.3 million. • Windfall revenue from variable sources, including direct, above-trend revenues from capital gains and estate taxes to the account. Keeping the kicker — funds returned to Oregonians if tax collections exceed income projections by 2% — will require a two-thirds vote by the Legislature to happen. It has no chance since the idea has to get support from both parties. In last week’s Weekly Industry News, we covered a letter to The Oregonian from former PIA Oregon/Idaho president Rich Kingsley. He hit the nail on the head with his description of the governor’s decision. Your insureds don’t like surprises, especially when it comes to the topic of audits. Without proper explanation and timely, adequate handling procedures, policies subject to audit can lead to surprises and E&O claims against your agency.Your agency works long and hard to establish a relationship with a prospect. You learn about his or her business, analyze loss exposures, develop and present a comprehensive risk management plan, including insurance coverage, and win the case. Now it’s time to think about audits, as a number of policies are subject to audit. The following are some suggestions for your agency to ensure that your customer understands what it means to be audited and what he or she can expect. • Identify which policies are subject to audit. • Determine why the policy is subject to audit, whereas some other policies are not. • Improper Workers Compensation class codes and territory issues are often discovered during an audit, and can result in premium changes. • Check with the carrier prior to choosing classifications and developing premium. • Notify your client in writing, on the proposal, that his or her exposure will be audited. • Explain the audit process and timing. • Clarify the difference between a physical audit, phone audit, and self-reporting audit. • Explain why the client’s premium can change from the initial proposal or policy premium. Talk to him or her about how growth, previously unknown exposures, changes in operations, new products and/or operations, acquisitions, etc., can result in premium changes. • Reinforce his or her responsibility to maintain adequate records. Advise what specific information will be needed to complete the audit. • Utilize proper premium calculation forms. If the carrier has its own form for calculating premiums for policies subject to audit, use that form. • Strategize how to respond to an audit. • Discuss with agency management, or the producer, the best approach to promptly disclose premium increases to the client. • In the event of a mistake, advise your client that you are looking into the matter. • Collect your information and contact your E&O carrier. • Together, determine if there are any solutions to the problem. • Discuss how best to communicate with the client. While not all premium audit problems can be avoided, proper knowledge, explanation, and planning go a long way toward maintaining a positive relationship with your customer and minimizing the E&O exposure to your agency. Purchase a Utica policy direct from the PIA! OPTIS Partners tracks mergers and acquisitions. The company said the first quarter of 2019 saw M&A activity continuing to be hot. By “hot,” the company means 151 agencies changing hands. That’s one more than was seen in the first quarter last year. These are agencies that sell P&C insurance, employee benefits, or both. OPTIS Partners also noted there were only 57 unique buyers in the first quarter transactions. That’s the lowest number in any quarter since 2014. April 15th has come and gone. Hopefully, you didn’t end up having to pay, and by that date all of your 2018 taxes are behind you. Next up — this year’s challenge. It appears the IRS will be implementing more changes based on the tax reforms enacted for the 2018 earning year. The change that will impact most of us has to do with what is withheld from your check. A new W-4 form is going to be issued that the IRS says better balances what is withheld from your check to what ought to be withheld. In other words, you shouldn’t end up owing and the IRS ought not end up owing you. That form is currently under construction. Pete Isberg works for the payroll and human resources consulting company, ADP. He says the new form makes the simple more complex, and filling it out will be almost like doing your taxes all over again. In fact, the new form — he says — is so complex that it references 12 IRS publications that will help you fill it out. The worry of his company and others is confusion. Employers will be confused as to what it should contain and so will employees. Training will likely be required. Isberg also noted that some worry that the form probes into issues that workers might not want to share with their employers like how much their spouse makes, or whether they have another job on the side. IRS spokeswoman Anny Pachner said those concerns are being taken into account and the next version — in May of this year — will make some changes. In the meantime, “We encourage taxpayers to take advantage of that opportunity and send us comments on the redesign,” she said. Once those comments are received, a changed version will be released mid-summer. “If you’re married, and both you and your spouse work, it will also be helpful to know information about your spouse’s income,” she also pointed out. Plus, adding to the complication, states are also looking at new withholding forms. 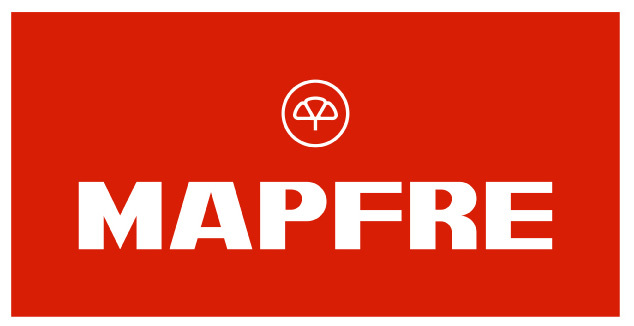 What can MAPFRE do for you? MAPFRE is a proud supporter of the PIA Western Alliance's KKLUB. What can Mapfre help you with? MAPFRE Across the Globe - MAPFRE S.A.